A recent European Environment Agency report has outlined the potential of nature-based solutions (NbS) in the promotion and design of integrated measures for climate change adaption and disaster risk reduction. They note however, although the potential is great, the concept has been greatly overlooked and underused. The impacts of weather and climate-related hazards affect not only human health, but also the economy and ecosystems. Efforts to lower the risk of climate-related hazards and to adapt to our changing climate have become a global priority. It is increasingly clear that climate change has amplified the frequency and severity of extreme weather events. This has been amplified by other environmental changes, for instance land-use change and climate change, and socio-economic changes, such as demographic development. Decision-makers are looking at the best approaches to managing disaster risk and means to boost societal resilience to climate change. Nature-based solutions have been seen as the potential key to many of our climate and societal related challenges. As defined by the European Commission, ‘nature-based solutions to societal challenges are solutions that are inspired and supported by nature’ (EC, 2015b). This management approach offers the chance to bring in more diversity, nature and natural features to our urban landscapes. The multipurpose nature of the approach addresses multiple societal challenges simultaneously. It is seen as being resource efficient, cost effective and locally adaptable. Thus, nature-based solutions are considered low- to no-risk solutions. The potential NbS has to address climate change adaption and disaster risk reduction, whilst simultaneously tackling other societal issues, should be used as a motivational incentive to further the use of NbS. In many countries NbS is not fully understood and is still an emerging concept. As a result many of the decision-makers involved in climate change adaption and disaster risk reduction have not considered it as a possible approach. The EU is taking various actions to enhance the knowledge and uptake of NbS. Connecting Nature, a Horizon 2020 funded programme based out of Trinity College Dublin, is looking to place the EU at the forefront of research and implementation of NbS. 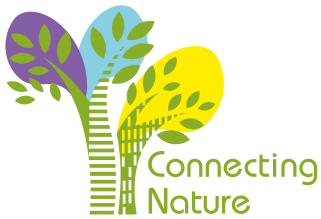 The main objective of Connecting Nature, a five-year programme, is to produce an EU-wide knowledge base on NbS, and to offer clear guidance and support for cities looking to develop and deliver NbS of their own. Ironically many NbS have already been implemented world-wide but have not been labelled as such. They have gone unnoticed as they have been employed from often a very specific point of view, determined by the main objective of an individual project. Installations such as green belts around cities, and living roofs and walls in buildings are nature-based solutions that result in not only reconnecting people with nature, they create healthier work/living spaces, reduce the impact of extreme weather events, increase urban biodiversity, offer educational opportunities, and the list goes on. By adding the applications to climate change adaption and disaster risk reduction to the considerations in the design and motivations of an NbS, this can help leverage additional funding and support in facilitating connecting communities working on joint projects. In order to fully realise the potential of NbS, various barriers need to be addressed, and its implementation promoted. If done so, the concept has the potential to offer transformative change in addressing numerous societal challenges and act means to aid the transition to a more low carbon, resource efficient green economy. Adam is currently studying for an MSc in Global Change: Ecosystem Science and Policy at UCD.